You are driving your car down the street and on your dashboard the red temperature light goes on. If you do not stop the car and check the engine what happens? The car's engine will explode because it has over heated. This is the cooling system in your car and it is the same in the human body. When you urinate, defecate, yawn, belch or sweat you release heat, which is a part of the cooling system in your body. The connective tissue (fascia) around your vital organs absorbs the excess heat and releases it through your skin and digestive tract. If it is blocked through years of improper diet and lack of exercise the vital organs will explode or stop functioning with a heart attack, impaired kidneys or liver attack because your body's cooling system has broken down and the vital organs have become overheated like the car. 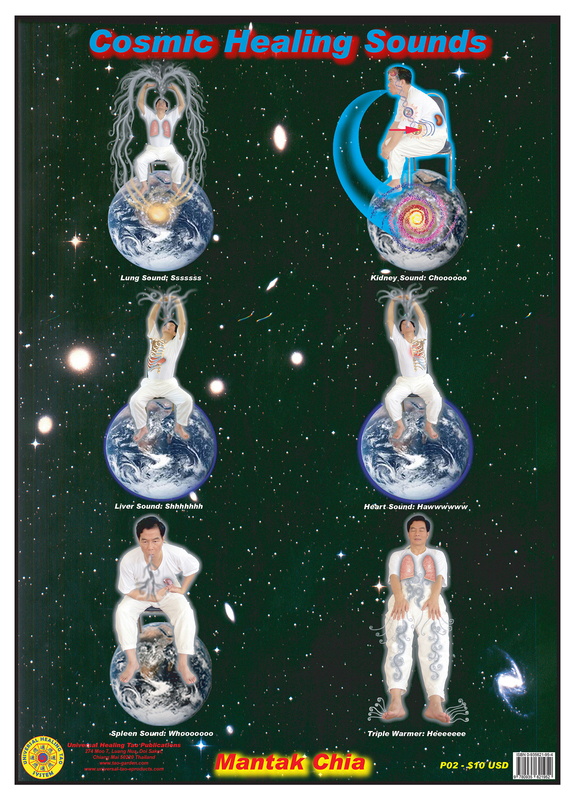 The Six Healing Sounds' formula activates your cooling system on a daily basis by restructuring the connective tissue to function properly around your vital organs; its postures result in cooling them down by releasing the condensed heat with their individual sounds. These organs are vital because without them you cease to function or live.